Poster BR BRITISH RAIL RUNS OUT OF STEAM. 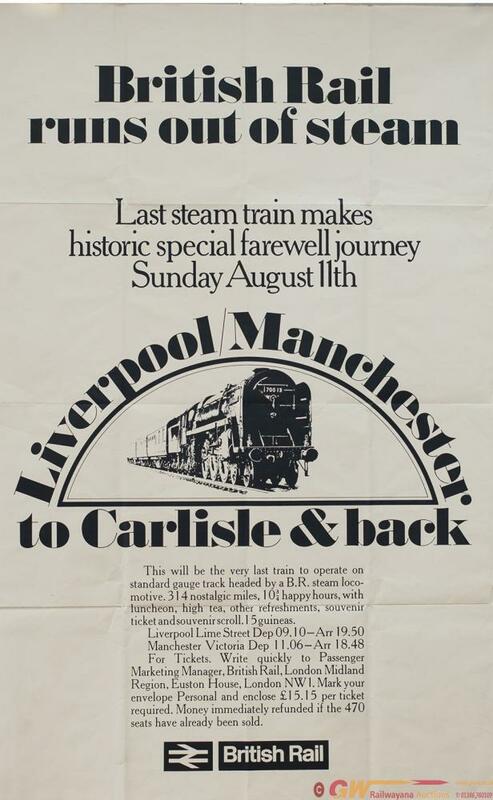 Image of Britannia Pacific 70013 OLIVER CROMWELL advertising the running of the 15 Guinea Special from Liverpool to Carlisle on 11th August 1968. Double royal 40in x 25in very good condition with light folds.